Infrastructure : Infrastructure plays a vital role in educational development. General Infrastructure: The college has ten classrooms, administrative office, principal office, auditorium, teachers’ common room, girls’ common room, boys’ common room, first-aid clinic, etc. 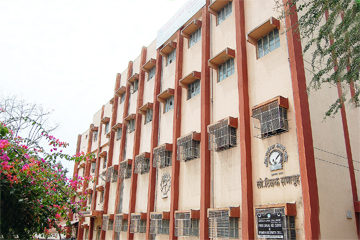 Library: The Akola Law College provides excellent library facility to its students with more than 5000 Some of the Journals and Reports to which the library subscribes include current and back volumes of A.I.R., Cr. L. J., S.C.J., Mh. L.J., other journals and databases of Supreme Court cases, High Court cases and Central and State legislations. Book Bank Facility is also available for the students. Electronic Research Room: ERR is the Research Room and Computer Centre for students. The ERR is equipped with a number of PCs, and is extremely useful to students representing the college at various moot court and research paper competitions. The centre provides students access to the legal databases such as Click Judgment as a powerful tool for speedy, inexpensive legal research providing students with instant access to case-law, legislation and legal articles at the click of a mouse. Moot Court and PPT Hall: The college has Moot Court Hall for moot trials and practical training to the students. And projector for the PPT. Free Legal Aid Clinic:The college has set up a ‘Free Legal Aid Clinic’ for the practical training to the students. This clinic was set up for disadvantaged and weaker section of the society. Facilities regarding Games and Sports: Facilities for various in-door and out-door games are available in the college including play grounds for volley ball, basket ball, cricket and other out-door games and also has indoor games facilities such as table tennis, carom, chess, etc.. The college has formed Sports and Cultural Committee. Hostel Facilities: The college has no hostel of its own. However, hostel facilities may be made available especially for girls. Guidance Centre for Law CET, etc.